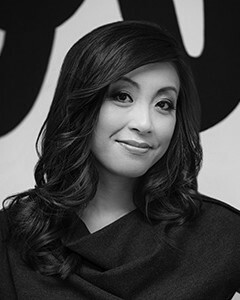 Florence Lee is a residential real estate expert who proudly serves buyers and sellers in Cook County and Lake County, with a focus on Kildeer Countryside District 96 and Stevenson High School district 125 (Long Grove, Kildeer, Lake Zurich, Buffalo Grove, Lincolnshire, Riverwoods, and Vernon Hills). Having grown up in the North Shore and now a Lake County resident of 10 years, Florence has extensive knowledge in these geographic areas. Florence is a former high-school science teacher who holds a Master's Degree in Education from the University of California at Los Angeles, and is also a Loyola University Rambler! Florence is an Accredited Buyer's Representative (ABR) and Seller Representative Specialist (SRS). Doing research and solving problems are her strengths. She will customize a plan to sell your home with the latest technology and innovative marketing provided by @properties, the #1 brokerage in Chicago. She knows what it takes to sell your home and will assist you in preparing your home for the market, while providing insightful feedback so that your home sells for top dollar in the least amount of time. Her listings on average sell for 96% of the original list price and in less time than other comparable homes. Florence also enjoys working with buyers, especially first-time home buyers, because she is able to utilize her teaching skills. There are many steps in the home purchase process and Florence will be there for you every step of the way; guiding you through the search, negotiations, and all the way to closing where you get the key to your dream home. Florence is a Long Grove resident, mother of two, and Chicago Cubs fan! She enjoys travelling, attending her kids' plays and baseball games, and volunteering for the PTO. When you are working with Florence, you can count on her professionalism, dependability, and honesty. Florence loves helping people and she is looking forward to helping you with your next move! Call her today! "My husband and I (and our two year old) met Florence at an open house when we were just beginning our home search. Her kindness and enthusiasm stood out from other agents we encountered, and I knew immediately I wanted her to be our agent. Florence's extensive knowledge of our areas of interest helped make the daunting process of house shopping stress-free. She really got to the core of what we were looking for, both in home and area. She is fast to respond, highly-organized, and has a great sense of humor. Most importantly to me, Florence comes with a long list of referrals. This was a big deal as we are new in the area. If you need anyone for anything, Florence knows someone who comes with recommendations. I interviewed a long list of architects and builders and the one we chose was a recommendation from Florence’s former client. I couldn’t be happier with their work. She is well connected and wealth of information. Thank you Florence!"